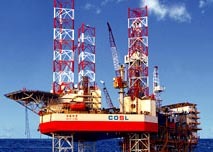 COSL reported that the jackup drilling rig COSL 937 was delivered for operation on December 20, 2009 in Dalian. Mr. Liu Jian, Chief Executive Officer of COSL, Mr. Li Yong, President of COSL, and management from the oil company and shipbuilding company, CCS and ABS attended the delivery ceremony. COSL 937 is a world-class-standard 300 ft. jackup drilling rig built by Marine Engineering Limited of the Dalian Shipbuilding Industry Company. With ABS and CCS accreditations obtained, the rig is able to operate in waters of 106 meters in depth and perform drilling operations into depths of 9,144 meters. COSL 937 will be mobilized to waters near Bohai to commence operation after the delivery.